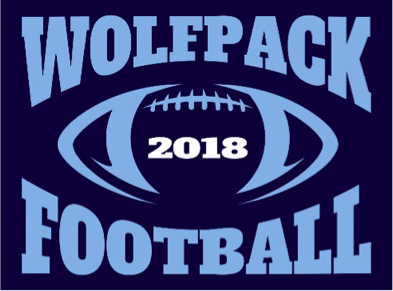 BACK BY POPULAR DEMAND...SHOW YOUR PACK PRIDE, 2018 DESIGN! Get all of your family, friends and neighbors to show their WOLFPACK PRIDE! Each shirt you sell will have your athlete's last name on the back and a cool design on front. This year they are available in short sleeve t-shirt or dri fit t-shirt, long sleeve dri fit shirt, ladies cut v-neck shirt, tank top or hoodie styles. We want to see your WOLFPACK PRIDE all over town! 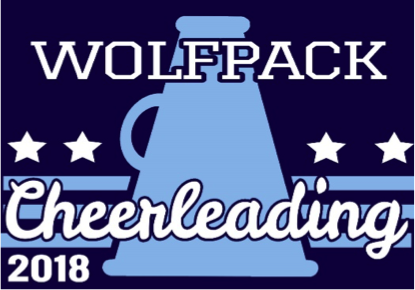 So be sure to tell everybody you know to show their support and order a PACK PRIDE shirt today! Orders must be turned in by August 24th. You can download the order form and print it out by clicking on CHEER ORDER FORM or FOOTBALL ORDER FORM. We will accept cash and check as payment. Checks should be made payable to "FYFCA" and the athlete's name should be on the memo line. Now get out there and show your pride!